Total solutions to best suit your needs for all dredging and offshore floating plant requirements. 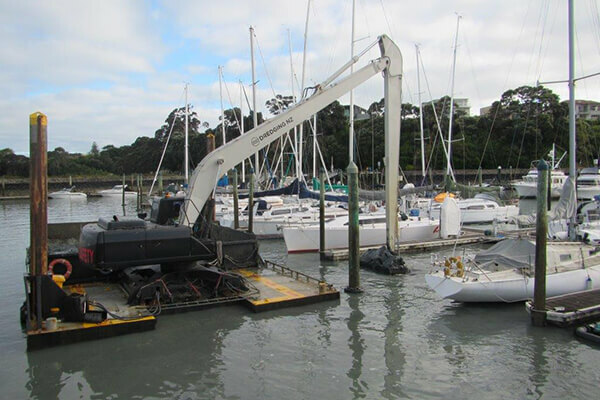 Dredging New Zealand offers our clients total solutions to best suit their needs for all dredging and offshore floating plant requirements, regardless of size and scope or location. From charter to head contractor we have the knowledge, flexibility and personnel to assist at any level our client’s require. Dredging New Zealand is fortunate to have a dedicated team of people with broad experience in operations from backhoe dredging to operating motorized bottom dump barges in confined marinas to international towing and dumping of dredging material in shallow ports and in water to rough exposed conditions.